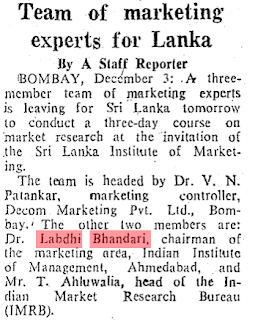 A few of us started the Ceylon Institute of Marketing in January 1970 with the intention of developing the professionals in marketing in Sri Lanka. One of our primary objectives was to update our members with knowledge and in this pursuit we focussed on Market Research as one area. For this purpose, through contacts in MNCs and Indian managers in Sri Lanka, we targeted three leading MR specialists in India to run a three day program me here in SL. Among them was your father and my close friend Titoo Ahluwallia. Our friendship grew quite strong and I did remain in touch with your father and Titoo and even met up with them when they came here or I went to India. Titoo went further by developing a business association in Sri Lanka for the Indian Market Research Bureau to set up a joint venture, Lanka Market Research Bureau. I was present when the office was inaugurated in Sri Lanka. 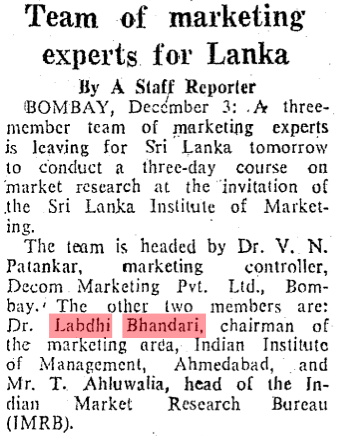 Your father too continued his association with SL through the IIMA and had close links with the private sector. 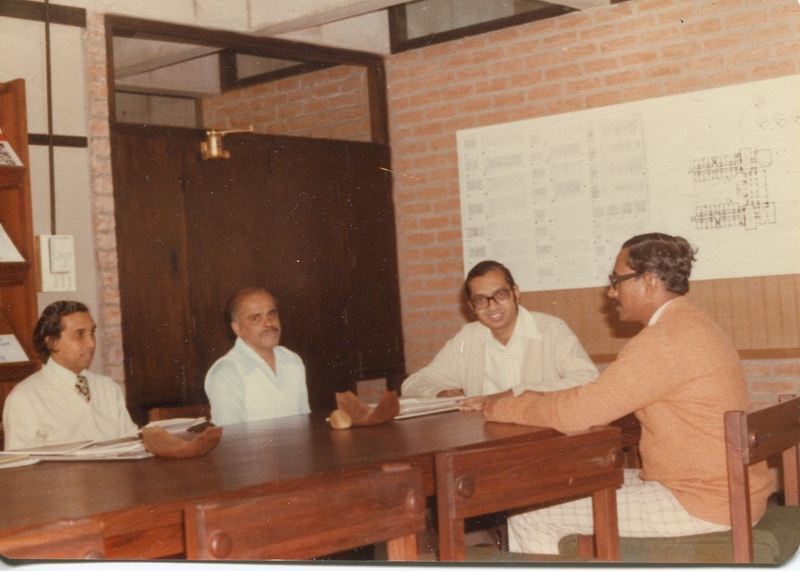 Additionally many Sri Lankan managers were sent to IIMA for short term development programs through his initiatives. His untimely death was a shock to many of us who knew him and regarded him as a true gentleman, a true professional and an excellent lecturer/teacher. He loved Sri Lanka and was anxious to visit here more often, but he was deprived of this intention. * Editors Note: The 3-day program took place in December, 1977. 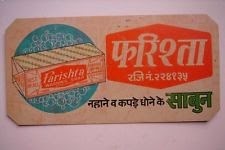 See newspaper clipping above.